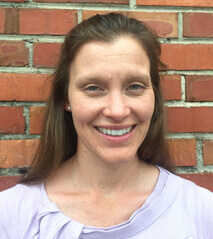 Brooks obtained her undergraduate degree in Health Sciences specializing in Athletic Training from James Madison University in Harrisonburg, Virginia in 2001. She worked as a Certified Athletic Trainer for several years covering high school athletics before deciding to go to graduate school and pursue a Doctorate in physical therapy. Brooks graduated with her DPT in 2009 from Shenandoah University in Winchester, Virginia. Brooks’ biggest interests are in outpatient orthopedics and sports-based injuries. Brooks has recently taken courses in Fascial Manipulation R, balance training, and orthopedic manual series. Brooks, her husband, and boys are outdoor enthusiasts and enjoy competitive sports as a family. Brooks is also an avid runner and has been since high school.